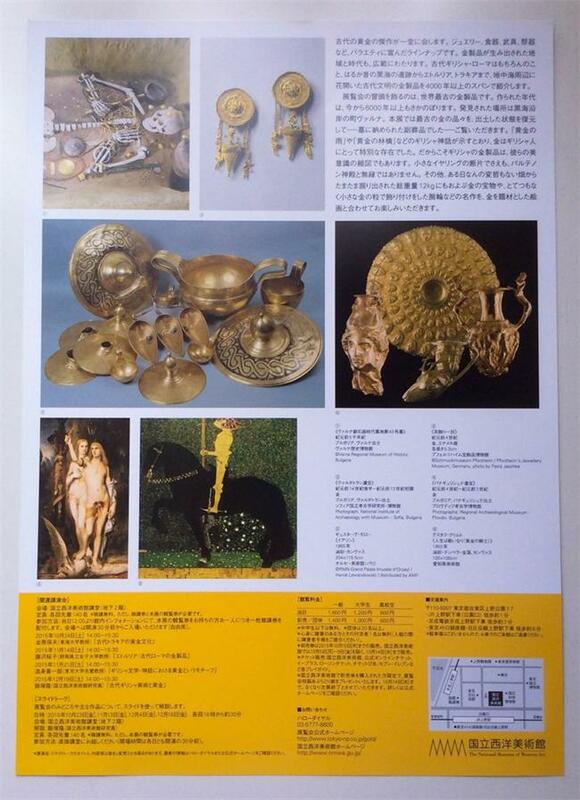 The Golden Legend exhibition in Tokyo, which will also be shown in the Japanese cities Sendai and Nagoya, is seen by the Bulgarian Ministry of Culture as a major success in the presentation of Bulgaria’s archaeological heritage abroad, after the recent exhibition in the Louvre Museum in Paris dedicated to Ancient Thrace, which was entitled “Thracian Kings’ Epic. Archaeological Discoveries in Bulgaria” (also translated as “The Saga of the Thracian Kings”; in French: L’Épopée des rois thraces Découvertes archéologiques en Bulgarie). The opening of The Golden Legend exhibit at the end of last week was attended by over 500 guests, the press service of the Bulgarian Ministry of Culture has reported. “The Golden Legend” exhibits a total of 280 items from 20 museums in Bulgaria, Greece, Italy, the Vatican, France, the Netherlands, Germany, the UK, Spain, and Japan. Some of the museums contributing artifacts to the Japanese exhibit include the National Archaeological Museum of Athens, the Vatican Museum, the National Prado Museum in Madrid, the National Etruscan Museum in Rome (Museo Nazionale Etrusco di Villa Giulia), the National Archaeological Museum in Florence (Firenze, Museo Archeologico Nazionale), the Orsay Museum in Paris (Musée d’Orsay), and the National Institute and Museum of Archaeology in Sofia. 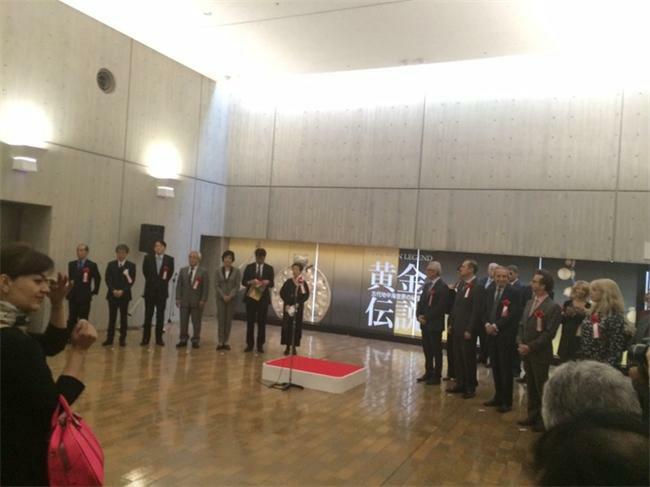 “The Golden Legend” exhibition at the National Museum of Western Art in Ueno will last from October 16, 2015, until January 11, 2016. It will subsequently travel to the Miyagi Museum of Art in Sendai from January 22 to March 6, 2016, and then to the Aichi Prefectural Museum of Art in Nagoya from April 1 to May 29, 2016. 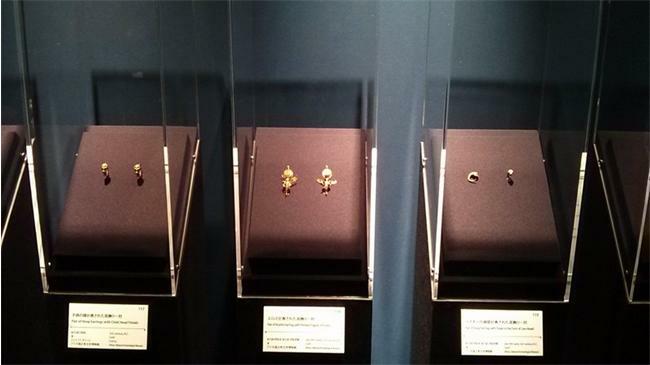 Bulgaria’s Ancient Thracian treasures that are included in “The Golden Legend” exhibition in Japan’s Tokyo, Sendai, and Nagoya come from the National Institute and Museum of Archaeology in Sofia, the Plovdiv Museum of Archaeology, and the Varna Museum of Archaeology (Varna Regional Museum of History). 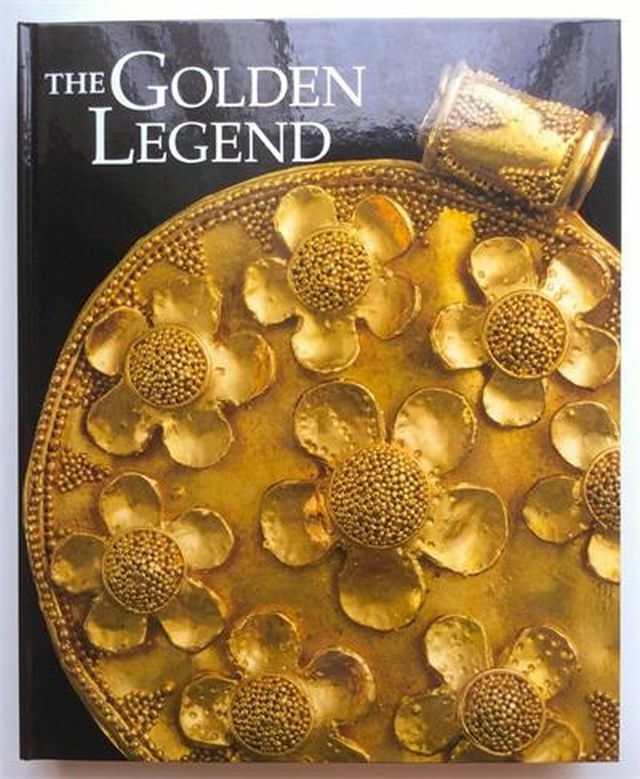 Another part of the Varna Gold Treasure was recently exhibited in the European Parliament in Brussels, Belgium. Another item from Bulgaria’s Ancient Thracian exhibition in the Louvre in Paris, the bronze head of Odrysian King Seuthes III (r. ca. 331 – ca. 300 BC), is presently on display in the exhibition “Power and Pathos. Bronze Sculpture of the Hellenistic World” in the J. Paul Getty Museum in Los Angeles. However, it seems that there is little recognition that the impressive statue is associated with Ancient Thrace or Bulgaria. 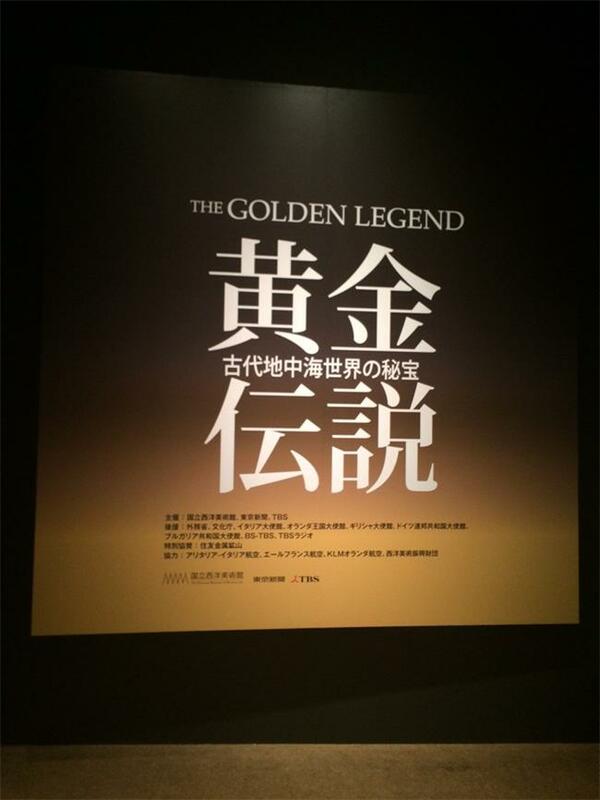 The Golden Legend exhibition in Japan is organized by the National Museum of Western Art in Tokyo, the Japanese newspaper The Tokyo Shimbun, and the Japanese TV station TBS. It is sponsored by Sumitomo Metal Mining Co. Ltd. The exhibit’s head curator is Takashi Yizuka from the National Museum of Western Art in Ueno. Bulgaria’s three contributing museums of archaeology – in Sofia, Plovdiv, and Varna – have signed contracts with their Japanese partners for their participation in the joint exhibition. The Bulgarian guests at the official opening of The Golden Legend exhibit included Bulgaria’s Ambassador to Japan Georgi Vasilev; the Director of the National Institute and Museum of Archaeology in Sofia, Assoc. Prof. Lyudmil Vagalinski; the Director of the Plovdiv Museum of Archaeology, Assoc. Prof. Kostadin Kisyov; the Director of the Varna Museum of Archaeology, Prof. Valentin Pletnyov; and Ministry of Culture expert Ekaterina Dzhymalieva who coordinated the contribution of the Bulgarian museums. The other international guests included the Ambassadors of Greece and Italy in Tokyo, representatives of the Embassies of the Netherlands and Germany in Tokyo, and representatives of the other foreign museums contributing artifacts to the exhibition. The Golden Legend exhibit of the National Museum of Western Art in Tokyo concentrates on presenting how gold has been seen throughout the ages, and its importance in human history and mythology. It focuses on the Mediterranean civilizations which include the gold treasures contributed by the Bulgarian museums. “The lake-like Black Sea expands deep in the hinterlands of the Mediterranean region. The Bosporus Strait is the entrance to the Black Sea from the Mediterranean, and is renowned as a difficult sea-lane. According to Greek mythology, the hero Jason successfully sailed his ship Argo through this treacherous strait; his goal, the Golden Fleece of a kingdom on the shores of the Black Sea. With the help of Queen Medea, Jason acquired the Golden Fleece, and thus grew the legend of the Black Sea region as concealing golden riches. But, about 40 years ago it was discovered that this was something more than simple legend. Tombs were found in the Bulgarian town of Varna on the Black Sea coast that contained a massive number of golden burial goods. These funerary goods are known today as the world’s oldest golden items, dating to more than 6,000 years ago, even before the oldest pyramids in Egypt. The deceased, reduced to bones today, were found holding golden staffs and wearing large gold armlets. The round pieces of gold scattered around the skeleton were the decorations on the clothing that once garbed the deceased. This exhibition presents a reconstruction of the contents of tombs as they appeared when they were discovered, alongside the display of paintings recounting the legend of Jason and the Argonauts’ pursuit of the then ancient Golden Fleece. Then some three millennia after the golden treasure of the Black Sea, goldsmithing of incomparable intricacy and quality flourished on in the Etruscan civilization on the Italian Peninsula. The superb artistry of Etruscan gold, whose technologies remain a mystery today, can be seen in the renowned golden armlet from the Vatican Museums. Bulgaria’s Varna Gold Treasure is the oldest processed gold in the world dating back to the time of the Chalcolithic (Aeneolithic, Copper Age) Varna Culture (usually dated to 4400-4100 BC). The Panagyurishte Treasure, also known as the Panagyurishte Gold Treasure, was found in 1949 by three brothers – Pavel, Petko and Michail Deikovi, who worked together at the region of Merul tile factory near the town of Panagyurishte, Bulgaria. It consists of a phial, an amphora and seven rhyta with total weight of 6.164 kg of 23-karat gold. All of the objects are richly and skilfully decorated with scenes from Thracian mythology, customs and life. It is dated to the 4th-3rd centuries BC, and is thought to have been used as a royal ceremonial set by the Thracian king Seuthes III. The Valchitran Gold Treasure was found in 1925 by accident in a vineyard near the town of Valchitran, Pleven District, in Northern Bulgaria. It is the largest Ancient Thracian gold treasure to have ever been found in Bulgaria. Its total weight is 12.5 kg, and its gold content is 88.15%, with the rest being silver and copper. The treasure consists of 13 vessels, including seven vessels in the shape of lids, four cups (one large, three smaller ones), a vessel consisting of three leaf-shaped interconnected vessels, and a krater similar to a kantharos (a large cup with a pair of handles) weighting 4.5 kg. The Valchitran Gold Treasure is dated to the 16th-12th century BC, i.e. the end of the Bronze Age. It is believed that the gold vessels were used for religious rituals by Thracian priest-kings. The treasure is part of the collection of the National Institute and Museum of Archaeology in Sofia; a replica can be seen in the Regional Museum of History in Pleven.